There are benefits to being old: you can speak your mind, claim confusion during awkward moments, and commit small crimes with little fear of retribution. Plus, if you're old AND a bar, you've got a shot at making our list of the 10 oldest bars in Chicago. Since our knowledge of history extends about as far back as the latest episode of Pawn Stars, we called in local bar historians Jonathan Porter of Chicago Prohibition Tours and Sean Parnell of the Chicago Bar Project to help us assemble this list of the oldest bars in the entire city. While the building was constructed in 1872 as one of the first structures to be built Downtown after the Great Chicago Fire, in 1921 it was converted into an Italian restaurant with a speakeasy in the basement. There's actually still a massive bookshelf that can be moved to reveal a hole in the wall that was once used to sneak in bootlegged kegs. Fun fact: Apparently nothing can destroy this place -- not fire, not its leaning structure (careful), and not even a car crash that once took out the structure’s Northeast corner. Before this place was overtaken by frat dudes and aspiring Coyote Ugly girls dancing on the bar, it operated as an innocuous-looking soda shop with a secret room called "Prohibition Willy's Speakeasy" in the back (still there today, now full of the aforementioned dudes). 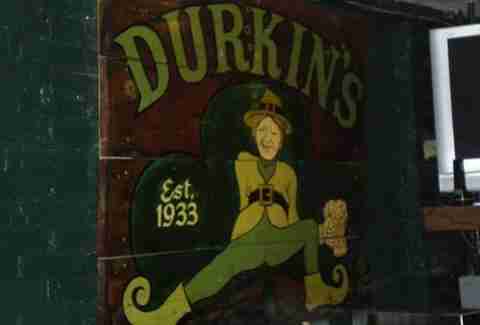 Since 1933 it has held the oldest continuous tavern license on the North Side, hence the signage. Fun fact: According to Dennis McCarthy's The Great Chicago Bar & Saloon Guide, "When the present owners were remodeling in 1974, they stumbled on a secret room in the basement full of White Horse Scotch and Portuguese brandy, without government seals of course, and in pre-twist top bottles." 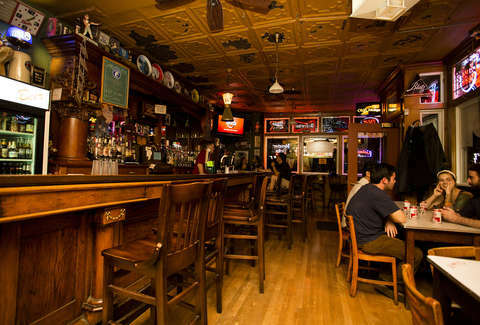 This South Loop neighborhood joint takes a rather low-key approach to its storied history, simply stating on its website that: “A bar of one sort or another has occupied the current location for over 100 years." 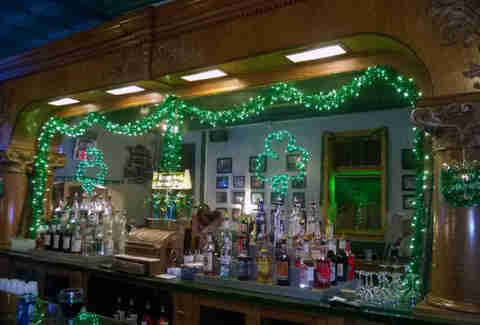 More specifically, the building was originally constructed by the publishers of The Wizard of Oz and once sat in a district surrounded by bars and bordellos. 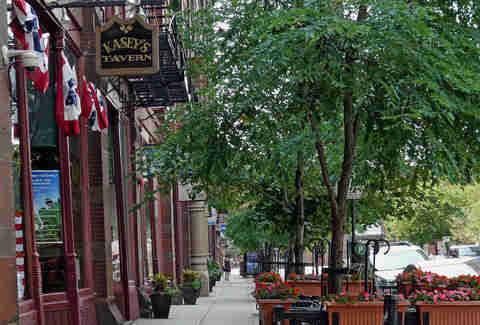 Fun fact: According to Chicago Bar Project, "the staff at Kasey's once wore T-shirts with the bar's slogan, 'Positively No Dancing', written on them. 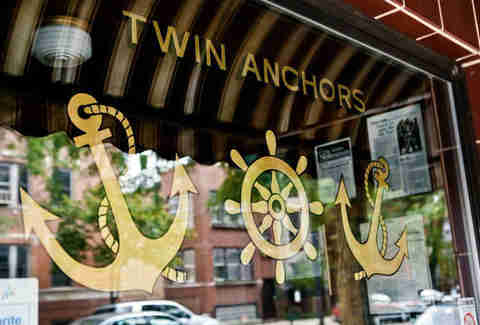 Rather than a rip-off of the Twin Anchors motto, the slogan originated from a city ordinance, perhaps intended to keep Kasey's from becoming a nightclub." When Prohibition came about, this Old Town institution was converted into a speakeasy called Tante Lee Soft Drinks, with the front windows boarded up to obscure the illicit activity taking place inside. Featured in films ranging from The Dark Knight to Return to Me, this infamous ribs joint was also one of Frank Sinatra’s favorite hangouts back in the day. Fun fact: According to Chicago Prohibition Tours, one of Sinatra’s bodyguards "would stand near the pay phone inside to make sure that no one alerted any others that he was there." Apparently, Ol' Blue Eyes liked to dine in peace. One of the country’s top jazz clubs was once a favorite hangout of Al Capone that operated openly during Prohibition, with the cops on the payroll. And when Capone’s favorite singer left the club to take another gig, the singer’s throat was slashed and part of his tongue was cut off in the dressing room. The club was originally designed as a tribute to the Moulin Rouge ("Red Mill") in Paris, and reportedly sits atop an elaborate system of underground tunnels. Fun fact: Apparently, each night, when Capone entered the bar, the bandleader would stop whatever they were playing and perform Capone's favorite, "Rhapsody in Blue". 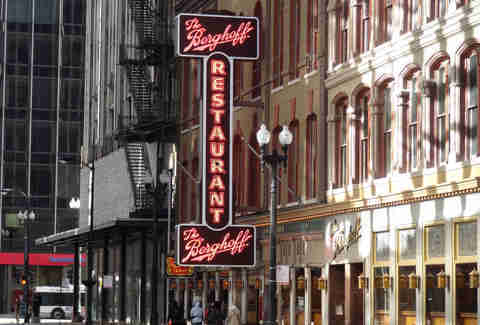 Proud owners of Chicago’s first liquor license, The Berghoff is one of the only bars on this list that did not operate as a speakeasy during Prohibition, instead reportedly surviving on food and root beer sales alone. What they don’t tell you is that the iconic Downtown brewpub also operated as a men’s-only establishment until 1969, well past the date anyone deemed socially acceptable. Fun fact: In the early days, you could get a free corned beef sandwich with the purchase of a stein of Berghoff beer, originally brewed by Herman Berghoff in Fort Wayne, Indiana, before he relocated to Chicago for the 1893 World’s Fair. Not much is known about one of Chicago’s oldest bars. 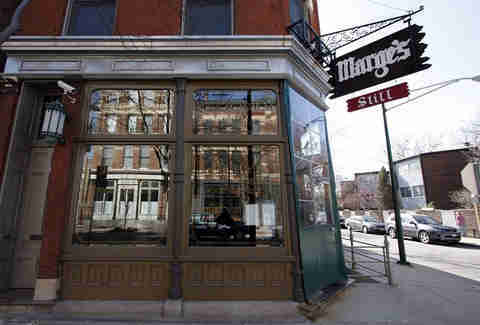 What we do know is that it dates back to 1897 and is said to have operated as a speakeasy during Prohibition. We also know that if you’re into the kind of cheap canned beer that always finds its way into dad’s fishing cooler, this is the place for you. 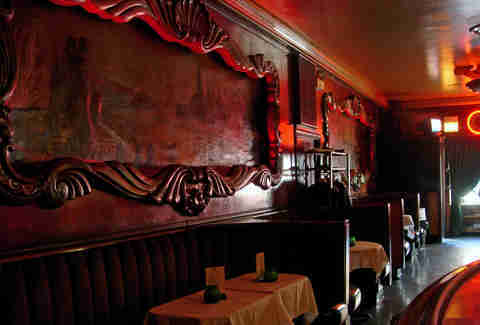 Fun fact: It seems history has treated it well -- Esquire named it one of "The Best Bars in America". Solidifying Bridgeport’s reputation as the city’s epicenter of booze and politics, this no-frills local pub's (formerly smoke-filled) back room has reportedly hosted enough shady political deals that the bar is also known as "Little City Hall". It's also believed to have been constructed for the 1893 World’s Columbian Exhibition. Fun fact: During Prohibition, access to the bar was gained through a complicated set of hallways and buzzers that included entering through an upstairs apartment. Bathtub gin was prepared on the second floor above this former grocery store during Prohibition, with patrons entering the speakeasy through the side stairwell. It was the type of place where you went to buy some ground beef, some milk, some cheese, and put your mason jar on the counter and asked them to fill it up with the good stuff. 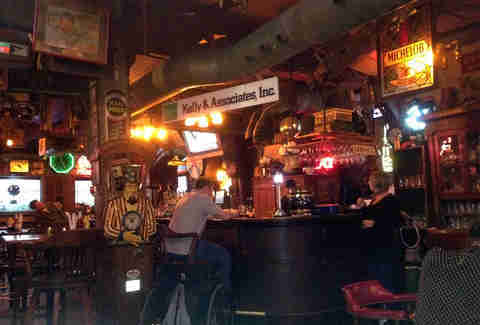 Fun fact: Despite recent renovations, the antique wooden bar dates back to the bar’s inception. As Chicago’s oldest continually running tavern, this South Side institution got its name from a mechanism that allegedly pumped beer from a former brewery located next door into the tavern during the days of Prohibition. 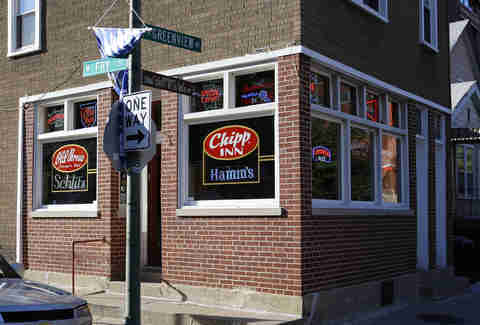 Located across the street from the 11th Ward Democratic Party headquarters and a 15-minute walk from U.S. Cellular Field (you can park here for free with purchase of a meal during Sox games), the bar is a legendary hangout of former Chicago mayors and White Sox owners. 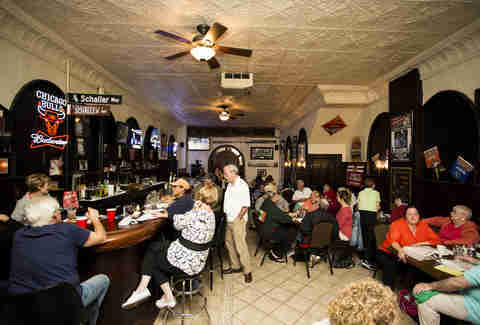 Fun fact: According to 90-year-old Jack Schaller, who has lived above the bar for 37 years and has no shortage of stories, the tavern formerly housed a horse bookmaking operation and once hosted the 21st birthday celebration of none other than Richard M. Daley himself (photos not available). You can find out more about Chicago Bar Project on its website or by checking out site creator Sean Parnell’s book, Historic Bars of Chicago. Jonathan Porter would love to tell you more on a trip with Chicago Prohibition Tours. Jay Gentile is the publisher of Chicago INNERVIEW Magazine and a Chicago-based freelance writer who was totally asleep during history class. Follow him on Twitter.